A while back I updated my ubuntu to 13.10 and then the apache php installation got messed up. So I had to reinstall it quickly to continue working on my php projects. 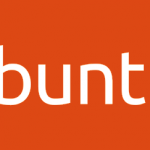 Apache is there in the ubuntu repositories so can be installed without much effort. Here is the quick command you need to fire at the terminal. To start or stop apache web server from command line, use the following commands. To get more information about how exactly apache is configure on your system, use the apache2ctl command. It tells the name of the configuration file, the server mpm being used and lots of other details. These are useful when configuring apache further. Just prepend the HTTPD_ROOT with SERVER_CONFIG_FILE to get the actual location of the configuration file. All that information is quite useful when setting up apache. Saves time which would otherwise be spend on guessing. There are lots of configuration files involved with apache. The main configuration file is "apache2.conf" as mentioned above. This configuration file has instructions to load further configuration files along. Here is the line that does it. To change the web root directory, we need to change the setting in the "sites-enabled" configuration files. As a standard practice a separate configuration file is created inside sites-enabled directory for each virtual host. A virtual host is a domain. So you can have multiple domains served by apache. In this example however we just use the default configuration file. There should be a file called 000-default.conf inside the /etc/apache2/sites-enabled directory. If its not there then copy it from /etc/apache2/sites-available. The file looks like this initially. Change the DocumentRoot path to the new web root that you want to use. Save the file and restart apache. The "Require" directive fixes the problem. Newer version of Apache (2.3+) require the "Require" directive to allow access. Now restart apache again and the new web root directory should finally work. To add more virtual hosts just create more configuration files like 000-default.conf and name it anything but with a conf extension. Set a unique ServerName in each file and give each host a separate web root directory. Alternatively create a configuration file in sites-available directory and use the a2ensite command to enable the site. It will create the necessary symlinks in the "sites-enabled" directory. So first create a configuration file by copying the default configuration file. Edit the configuration file as needed. The important thing to change is the document root for the new site. Restart apache. And the new site should work fine. The htaccess file allows to modify various apache configuration parameters on per directory basis at runtime. By default apache is not configured to use the htaccess file. To make it do so, simply add the following line in the Directory section shown above. The above will tell apache to start reading htaccess files and parse the configuration instructions written in them. After installing apache, you might want to install other things like php, mysql, phpmyadmin depending on what all you need. So go ahead and enjoy!! I have noticed it was necessary do a reboot on Linux Mint 17 xfce distro. Thanks, this tut worked for me (adding: Require all granted within Directory tag) after upgrading from mint16 to mint17 which came with Apache 2.4.7. You will need to set chmod 755 on your directory! I had the same problem as yours but as soon as I changed the permissions, it worked. My issue was that I didn’t have any files in the root of localhost, just directories. After snooping around, I found that there’s another file needing a change. updated directory you saved in your 000-default.conf and restart apache. my /home directory sits on a different partition.